Technology change has affected most sectors of life. Some of the skills that employees had are becoming null and void because of new technologies and they have to learn new skills, so as to cope with the changes. Fortunately with the internet and the computers, it is now possible to learn and train employees electronically. Learning Management Systems are software platforms that facilitates such online learning and training. This software makes it possible for a person to create learning materials of any kind, manage them and distribute them to other people. Components of the LMS system. There are several components of this systems that facilitates its functionality. One of the component is the document management that makes it possible to manage the documents containing the content of the prep. Another component is the multiple device access that is used to convey coursework to different devices such as computers and mobile devices. There is also a rooster that tracks the attendance of the lesson and used to send summonses to the class members. The registration control system helps to register the participants of a class undergoing the learning curriculum. Who uses the LMS SYSTEM? Companies and corporations can use this system to educate their workforce on the changing trends.Companies have adopted the system in delivering training courses to the employees and its customers. In medical institutions it is used to train the staff on device use and techniques, especially because most medical institutions have a multifaceted setting. The health manuals can therefore be accessed using the LMS tool. 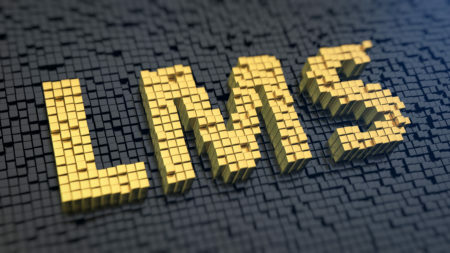 In marketing and advertising departments, the LMS system can be incorporated to help marketers in learning. The marketing world is ever changing due to the changing in media technologies and it is important to learn how to cope with the changes. Software companies also need to train their staff all over the world after every technological change and they use the LMS system. The ever changing usage of tools and programming languages and other internal areas requires training. Traditional schools such as universities and colleges as well as e-learning schools are also using the system.The system has caused a intense change in the modern classroom. It is used to deliver the coursework and popularize e-learning. To train new employees by imparting in them new skills, and train the existing ones when new skills have been developed. Letting the employees to study online rather than the traditional training methods helps to save on the cost. It is also used when orienting new employees to the organization. Thus after showing them around the office, the recruits study on their own in other areas such as the code of conduct, privacy rules and other dogmas.